Home > Amazon > Amazon eCoupons | Save on Gillette, Bounce, Coffee + Much More! Amazon eCoupons | Save on Gillette, Bounce, Coffee + Much More! I love Amazon eCoupons because I can save on items I need right from home and I still get to “coupon”. 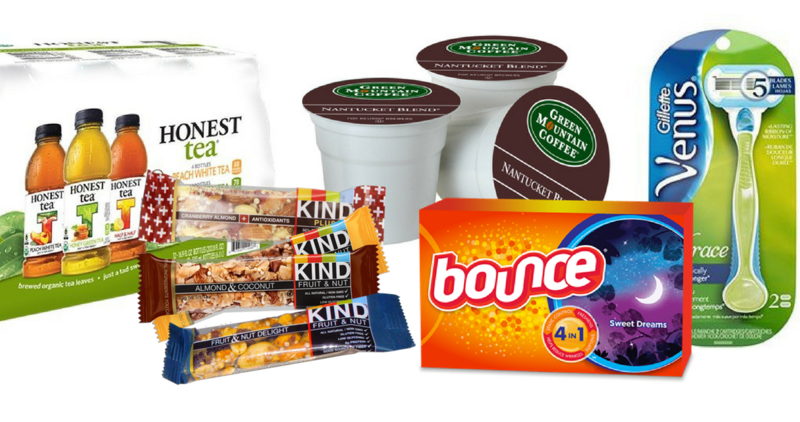 Save on Gillette, Bounce, Coffee and much more! after 15% off coupon and 5% off Subscribe & Save. This is an “add-on” item and must be purchase with a $25+ order. after $3 off coupon and 5% off Subscribe & Save. after 20% off coupon and 5% off Subscribe & Save. after 15% off coupon and 5% off Subscribe & Save. These prices can change at anytime so hurry and grab what you want.